The male has brilliant turquoise blue uppperwings, edged with a fine black line. 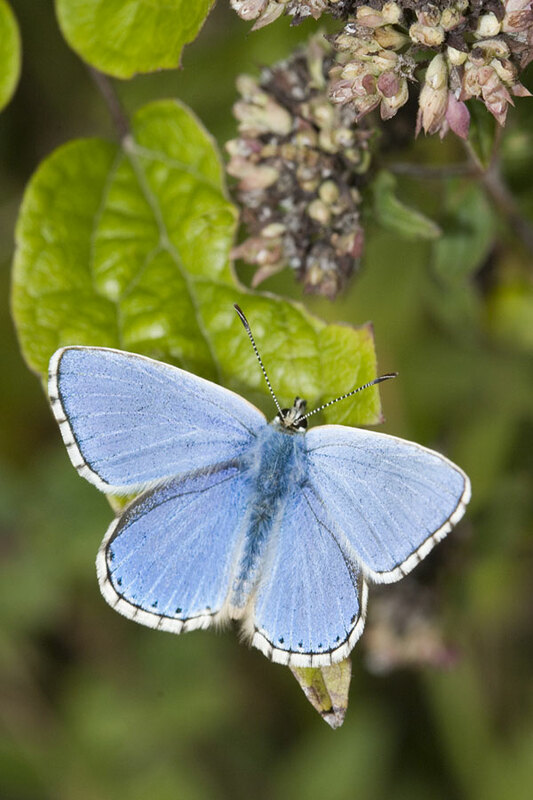 In both sexes the white fringes are distinctive as the dark cross veins intersect the white, this can help distinguish this species from the common blue. The base colour of the female upperwings is brown. On the lower edge of the hindwings are a number of small black spots surrounded with orange and blue. In the female Chalkhill Blue these spots are surrounded by orange and white.